Kimlan's mushroom wheat gluten uses only the best mushrooms harvested from Taiwan's mountains. Only the fresh and tender gluten is used. 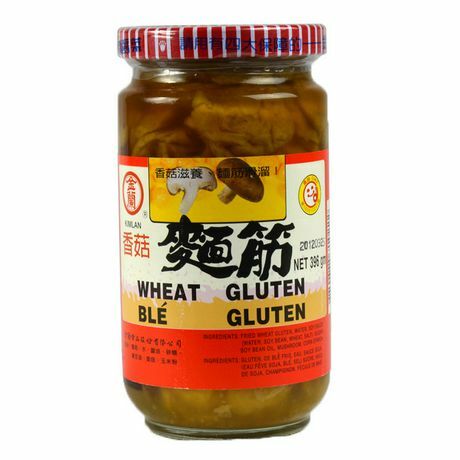 Combined the best ingredients along with Kimlan's special marinade results in golden gluten that is suitable with congee. No MSG, artifical colorings or preservatives are added.